What to do in an asthma attack, including how to spot the warning signs and having a personal action plan. 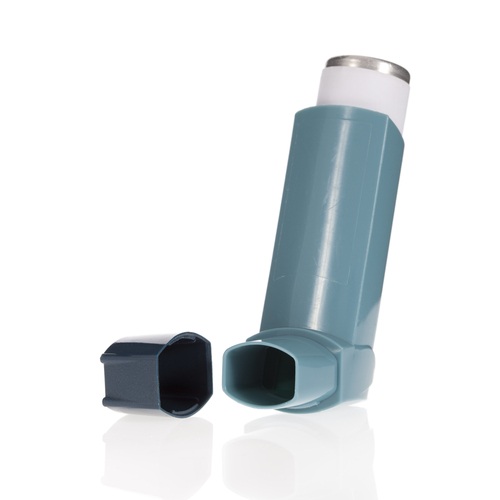 Asthma attacks kill three people each day. The UK has one of the highest asthma death rates in Europe. Yet many of these deaths could be avoided. Every 10 seconds someone in the UK has a potentially life-threatening asthma attack. You can find out what your risk of an asthma attack is by taking the Asthma UK Tripple Test. If you're on the right asthma treatment, your chance of having an asthma attack is greatly reduced. Visit your doctor at least once a year for a check-up and to discuss asthma treatment options. Often, using your reliever inhaler will be enough to relieve your symptoms when you start having an attack. But sometimes symptoms are more severe and urgent action is needed. If you go to A&E or are admitted to hospital, take the details of all of your medicines with you if possible. 1. Take one to two puffs of your reliever inhaler (usually blue) immediately. 2. Sit down and try to take slow, steady breaths. 3. If you do not start to feel better, take two puffs of your reliever inhaler (one puff at a time) every two minutes. You can take up to 10 puffs. 4. If you don't feel better after taking your inhaler as above, or if you are worried at any time, call 999. 5. If an ambulance doesn't arrive within 10 minutes and you are still feeling unwell, repeat step 3. If your symptoms improve and you don't need to call 999, you still need to see a GP or Practice Nurse within 24 hours, please ensure you inform the receptionist that you have had an asthma attack. Asthma UK advises that you should make an appointment with your doctor or asthma nurse within 48 hours of your attack. You can then discuss any changes that may need to be made to manage your condition safely. For example, the dose of your preventative treatment may need to be adjusted. If you've had an attack or you're needing to use your reliever inhaler regularly, arrange to see your doctor or nurse – the dose of your preventative treatment may need to be adjusted. Most people who have asthma attacks will have warning signs for a few days before the attack. These include having to use your blue reliever inhaler more often, changes in your peak flow meter readings, and increased symptoms, such as waking up in the night. Don't ignore these warning signs as they indicate that your asthma control is poor and you risk having a severe attack. You can check if you are using too blue of your blue inhaler here and also contact the practice at any time. All asthmatic patients are invited annually for an asthma review. If you feel you are well controlled you may only require a telephone review and this can be booked via our reception on 01254 226691. A mutally agreed telephone appointment will be given for our Practice Nurse to contact you. If you have been invited to take part or would like to take part in video consultations with our Practice Nurses please print and complete the Consent form and return to practice, either by email to darwen.healthcare.co.uk or returning it to practice.